$3.99 to $49.99 & FREE Shipping on orders over $59 $35. Ive been using it for years in my home dairy as a sanitizer. Love it. I need sanitizer and this stuff works very well and is easy to use. Description is on point! We use this as a sanitizer in our restaurant. Best price you can find. Too much mineral in public water supply. We use this as a sanitizer in our restaurant. Best deal for it! Tastes great, less filling. Stains my teeth but then again it shows people I’m a master breawer. Get some. Ises this with my Marks keg and carboy washer. Works great without all the normal foaming. I swear by this stuff (been using it for almost 20 years) and generally buy it by the gallon. 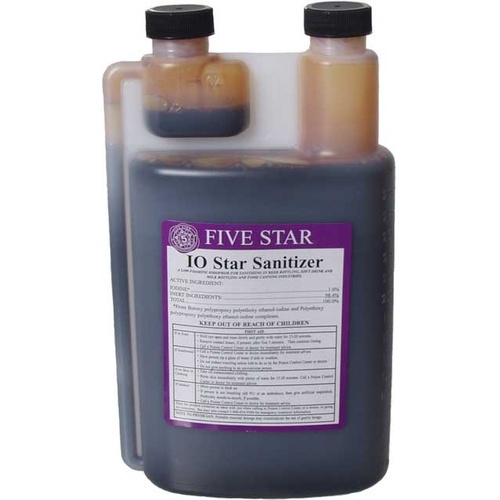 It doesn't foam up like Star San and takes just minutes to sanitize whatever I'm using. I sanitize for a micro dairy and it works really well. I never liked the chlorine sanitizers. I expected to get a bottle the metered product, not the case.